On November 14, 2013, the following statement was made by John King, NYSED commissioner. 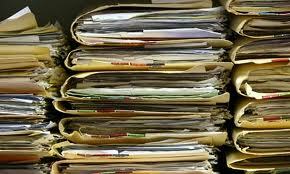 “We support the drive to prohibit standardized testing of pre K through 2nd grade students. “In fact, the Board of Regents has a long-standing policy against administering standardized tests to our very youngest students. This is false. For years, our “very youngest” ELLs (English-language learners) have been mandated to take the New York State English as a Second Language Achievement Test (NYSESLAT), a burdensome four-part assessment (now aligned to the Common Core State Standards) that’s administered every spring to ELLs in grades K-12 to assess their English-language proficiency levels. For the listening, reading and writing sections of the assessment, ELLs in grades K-2 are required to answer multiple choice questions by bubbling their answers directly into student test booklets. The ESL (English as a Second Language) staff then transcribes their answers onto testing grids (bubble sheets) for scanning purposes. 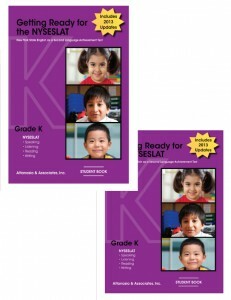 Here’s the NYSESLAT sampler for kindergarten and the NYSESLAT sampler for grades 1 and 2. In addition to the valuable instructional time that’s lost to both the administration and the scoring of the NYSESLAT, ESL teachers (including myself) spend at least a month test prepping students for this assessment. Not only do we feel compelled to teach them test content and test-taking strategies, but we also must show ELLs in K-2 how to take a multiple choice test. Because NYSED data shows that former ELLs (students who test proficient on the NYSESLAT and no longer require ESL services) outperform non-ELLs on NY state tests, ESL teachers face pressure from the state to “test out” ELLs by the end of three years of federally mandated ESL instruction. The goal is to decrease – eliminate? – the number of long-term ELLs (ELLs with six or more years of ESL service) in New York. Language instruction for ELLs is funded through the Title III federal grant program so I anticipate that John King will argue that the annual standardized testing of ELLs in K-12 is a federal, not state, mandate, and that I should instead discuss this matter with Arne Duncan. However, the NYSED must have some autonomy in creating its annual assessment that holds all ELL stakeholders accountable. I haven’t seen the ESL assessments used by other states, but surely they are all different. Commissioner King – what are your plans for the NYSESLAT in light of your 11/14/13 statement regarding standardized testing in grades K-2? Will you be making changes to the K-2 NYSESLAT?